The reason for this is that before experiments, measurements, mathematics and rigorous deductions, science is above all about visions. Science begins with a vision. 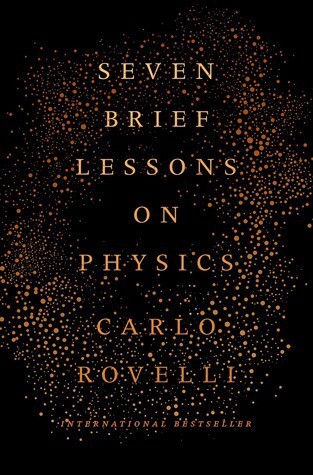 “Seven Brief Lessons on Physics” is written by Carlo Rovelli, an Italian theoretical physicist and one of the founders of loop quantum gravity theory. Simon Carnell and Erica Segre translated this into English from the original Italian. This book has been written for those who know little or nothing about modern physics. It provides a rapid overview of the latest happenings in physics in a concise manner. “Seven Brief Lessons on Physics” is a short book, weighing at less than a 100 pages. But, in this short book, Carlo Rovelli introduces the following the topics to us. General Relativity, where we understand that space and gravity are one and the same. Each of these topics has a chapter devoted to it. The last chapter is an introspection of the self and our relationship to reality. The main takeaway from this book is its clear and crisp explanation of complex topics. Carlo Rovelli and the translators have done a brilliant job in making abstruse topics, which are mind-bending, comprehensible to the general public. In fact, I will go out on a limb and say that my understanding of topics, which I thought I knew, has become better after reading this book. For example, the fact that the passage of time is basically determined by entropy is an intuitive leap that I never quite made before. The other aspect of this book was its coverage of the latest topics in physics. I have said before that we need to be taught the latest developments in STEM in school itself and not in college. This book does a great job of filling the gap. I did not want this book to end. “Seven Brief Lessons in Physics” is a brilliant book that has surpassed its goals of bringing the latest science to the general public.